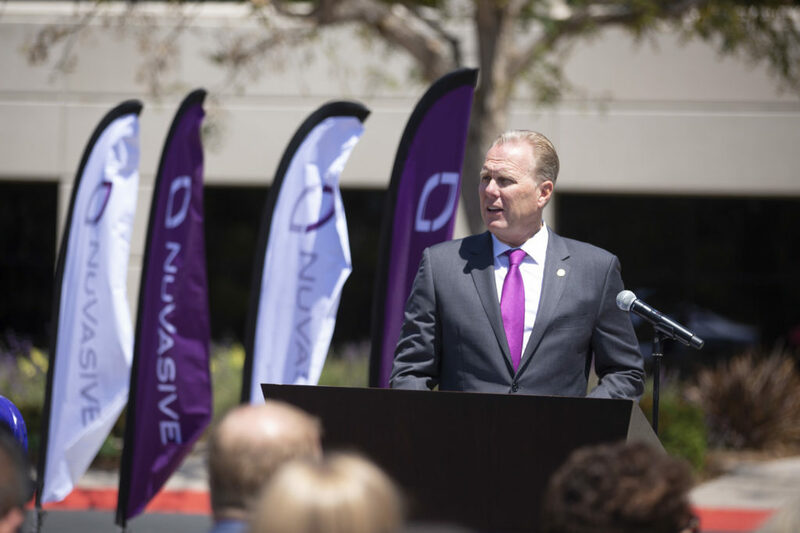 NuVasive Groundbreaking: The Future Home of the New Surgeon Experience Center! As the fastest growing pure-play spine company, we believe that our next chapter should be big. The decision to build an approximate 7,000 square-foot Surgeon Experience Center, complete with brand new amenities and an accompanying remodel of our existing buildings, is our newest project. Our global headquarter expansion allows us to continue to offer innovative, game-changing products to our customers through our Clinical Professional Development (CPD) programs as well as increased R&D efforts among our Shareowners. The Surgeon Experience Center will be a world-class experience driven by our CPD team. Not only will it serve as a hub for global surgeon engagement and training, but it will include an expanded cadaver lab utilized to educate surgeons. The new building overall will have an upgraded and modern café, fitness facility, and a brand new meeting space. 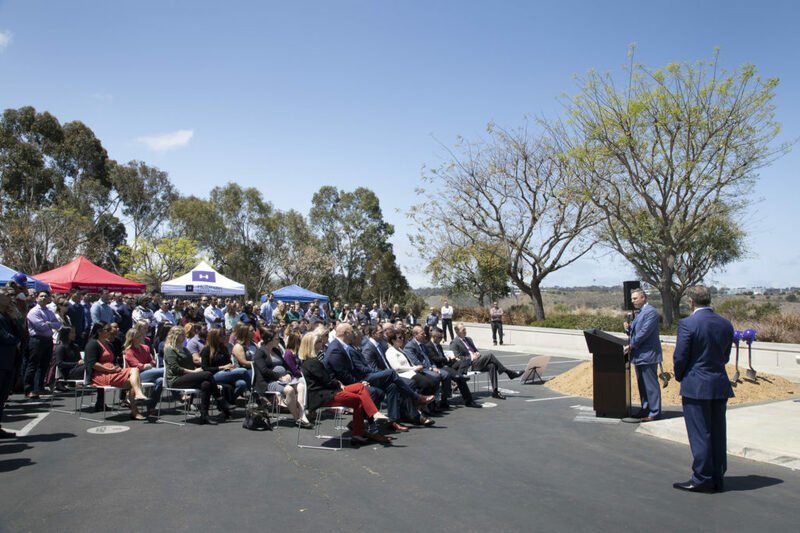 These amenities are a part of our broader strategy to create a more positive and productive environment for existing and future top talent in San Diego. The upgraded campus will also give Shareowners a new space to collaborate, brainstorm, and interact with one another. These key elements of innovation and thinking outside the box empower our people and culture to be unified, focused, and optimistic about the NuVasive vision. The latest technology has been incorporated into our existing building’s renovation plan to maximize space, optimize efficiency, and encourage discussion and the exchange of ideas. Special thanks to our guests, San Diego Mayor Kevin Faulconer, Congressman Scott Peters, California 52nd Congressional District, City of San Diego Councilman Chris Cate, District 6, and our consultants, FPB Architects, Hollander Design Group, and THiNK Office Interiors.